With his outstanding interpretations of choral works in concert and on CD, Frieder Bernius has set benchmark standards and gained international recognition, particularly for his championing of the choral music of Felix Mendelssohn Bartholdy. Today he is in the top rank of conductors with his chamber choir and as director of other ensembles. On 22 June Frieder Bernius celebrates his 70th birthday. We offer many congratulations and look forward to his latest recording: Mendelssohn's Lieder im Freien zu singen . Discover our other new releases this month too, as well as the latest news from our publishing house! 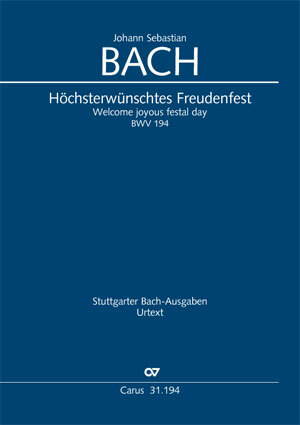 Our Bach vocal project reaches its finale: newly published this month is the cantata Höchsterwünschtes Freudenfest (Welcome joyous festal day) BWV 194 – a multi-faceted composition containing some extremely heartfelt moments. 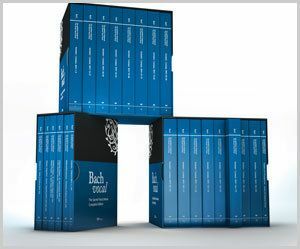 With the Bach vocal project, we are publishing Johann Sebastian Bach's complete sacred vocal music in a high-quality complete edition (Release date: November 2017) . Bach's Mass in B minor BWV 232 and his St Matthew Passion BWV 244 are amongst the very greatest choral works of the Baroque, highlights in any singer's life, but which also present great challenges. Both works are also available in carus music, the choir app and of course in printed editions. 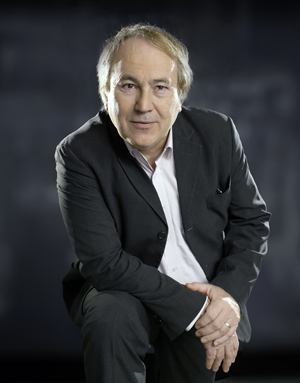 On 22 June the conductor Frieder Bernius celebrates his 70th birthday. Many congratulations! 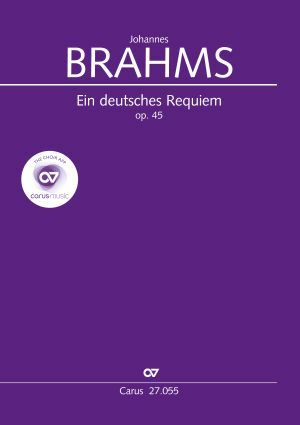 For over forty years Frieder Bernius has made a considerable contribution to the historic performance practice of choral works, always creating a distinctive personal sound which aims to recreate how the original might have sounded. 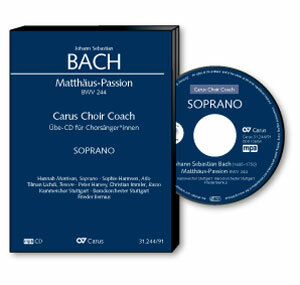 Numerous prize-winning recordings in our CD catalog reflect his outstanding approach to sound. This month sees the release of Frieder Bernius's recording with Mendelssohn's Lieder im Freien zu singen, containing probably Mendelssohn's best-known secular choral songs. We also look forward to the recording of Ligeti's Requiem, due out on our label in September. The complete recording of Mendelssohn's Sacred Choral Works is available until 30 June at the special offer price of 49.90 Euros (instead of 59.90 Euros). The Requiem as a sacred music composition in memory of the dead has preoccupied composers for centuries. The best-known Requiems include works by Mozart, Cherubini, Brahms, Fauré, Gounod, Verdi, and Saint-Saëns, to name just a few of the most famous composers. Carus publishes these works in attractive Urtext editions with complete performance material and complementary practice aids (carus music, the choir app, Carus Choir Coach and vocal scores in reader-friendly large print). 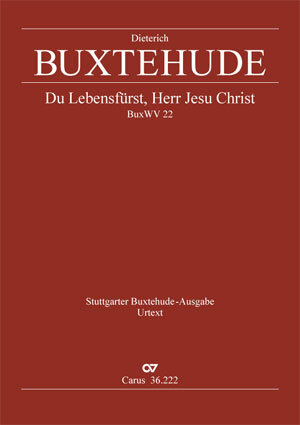 The Ascension cantata Du Lebensfürst, Herr Jesu Christ by Dieterich Buxtehude is one of this month's new choral music releases. You can find all our new choral publications, including contemporary choral music >> here. 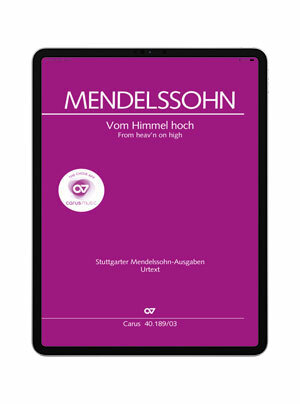 Newly released this month in carus music, the choir app is Mendelssohn's chorale cantata Vom Himmel hoch . 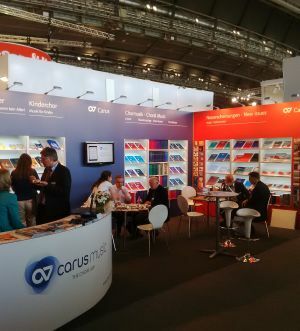 You can find all releases to date in carus music >> here . Use the filters on the left hand side to search for specific works. 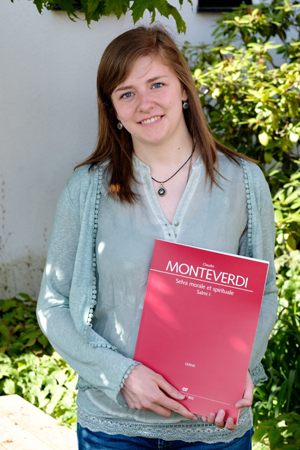 Cornelia Fahrion's first encounters with Monteverdi were in a vocal ensemble singing his secular madrigals, but she very quickly became familiar with his church music output as well. And even if she cannot say that she has one "favorite piece", she can name a complete collection of musical pieces which moves her deeply.